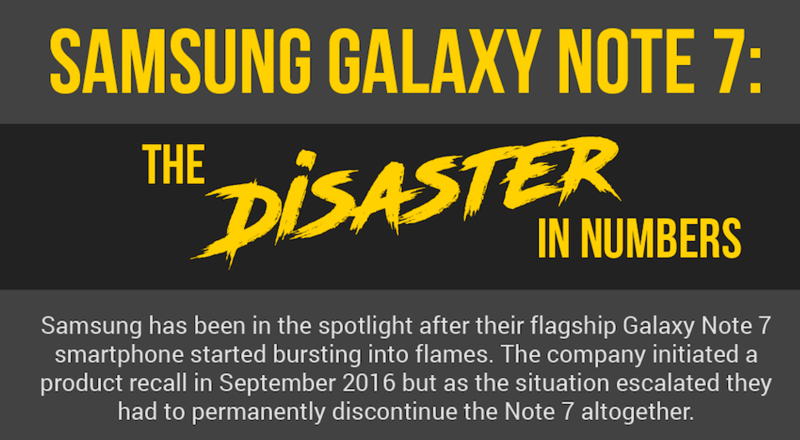 2016 has been a bit of an unfortunate year for Samsung. The smartphone brand has been faced with bad press left, right and centre. Batteries on their new device, the Samsung Galaxy Note 7 started bursting into flames. In September, they initiated a major recall of the product, leading to over 2.5 million phones being returned. Take a look at the infographic below from Repairly to find out the full impact it had.